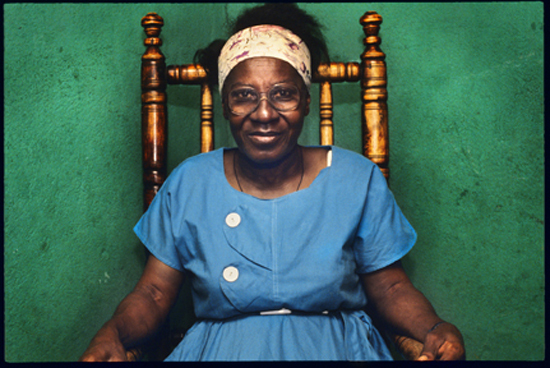 Louisianne St. Fleurant was born on September 11, 1924 in the small town of Petit Trou-de-Nippes, Haiti. In 1972 she began working as a cook in the art colony of Saint-Soleil in the mountains above Petionville. Inspired by the art she saw around her, she began to paint and eventually became one of the best-known of the Saint-Soleil painters. She also made and painted small ceramic figures which she sold from her modest house on the Rue Magny bordering the Petionville market. In 1989 she was a founding member of "Cinq Soleils", a group that included former Saint Soleil artists Prospere Pierre-Louis, Levoy Exil, Denis Smith and Dieuseul Paul. 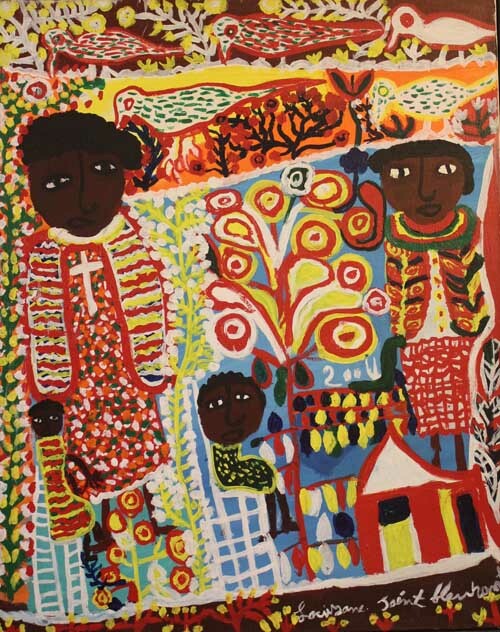 The early 1990's were marked by personal tragedy as three of her children died in a five year period , including her son Stivenson Magloire who was an internationally known painter. He was stoned to death by personal enemies on October 9, 1994 during the chaos surrounding the return of Jean-Bertrand Aristide. Stivenson was 31 years old. 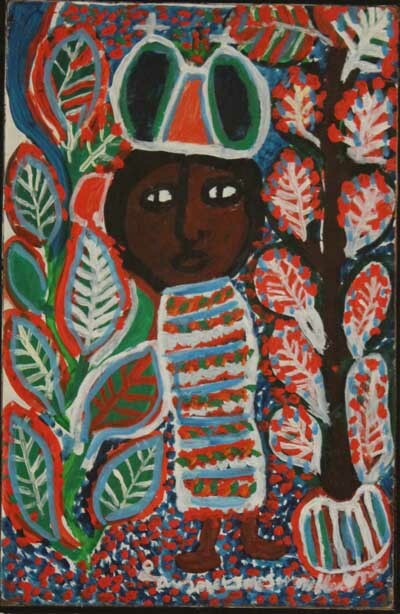 Her one surviving son, Ramphis Magloire, is also a well-known painter as is one of her daughters, Magda Magloire. 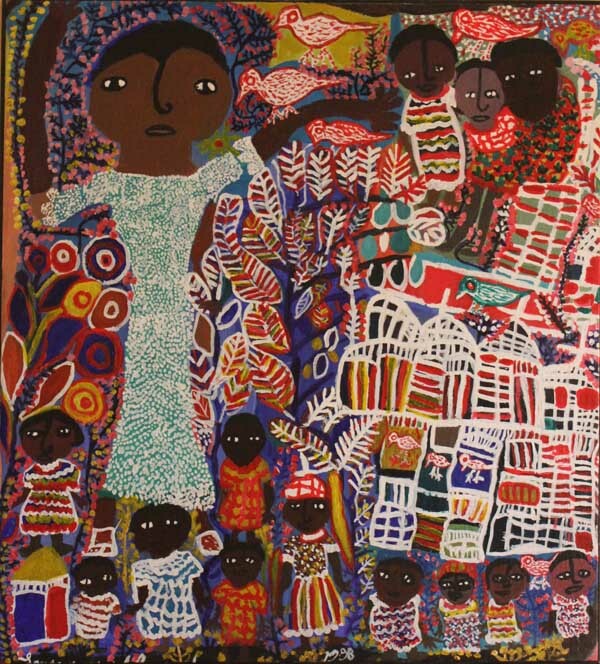 Louisianne suffered a stroke around 1997 but recovered sufficiently to resume painting her brightly colored pointilistic portraits of people and vodou spirits. Call 1-866-661-1498, 8 am-8 pm Eastern Standard Time, seven days a week.